No matter if you’re just visiting or live in Metro Detroit, a gym is where the best place to avoid putting on those extra winter pounds. Although snow may damper your motivation to leave your house, many Detroit gyms are packed with the latest and greatest equipment to have you feeling motivated and awesome all year round. On my week-long trip, I searched the city and found the best gyms in Detroit just for you. Franklin Athletic Club is one of the nicest clubs I’ve ever visited, hands down. It’s jam-packed with many different options for workouts and relaxation. The hardest part of visiting is deciding what you want to do that day! Like most of my gym visits, I started in the free weights section for a lift and finished up with a little cardio to get a good sweat. Franklin had a wide variety of free weights and machines spread across a large area where their spacing made for a comfortable workout. They also had trainers all over, which was nice whenever I needed a spot. After my workout, I scoped out what Franklin is really known for, their tennis facilities. 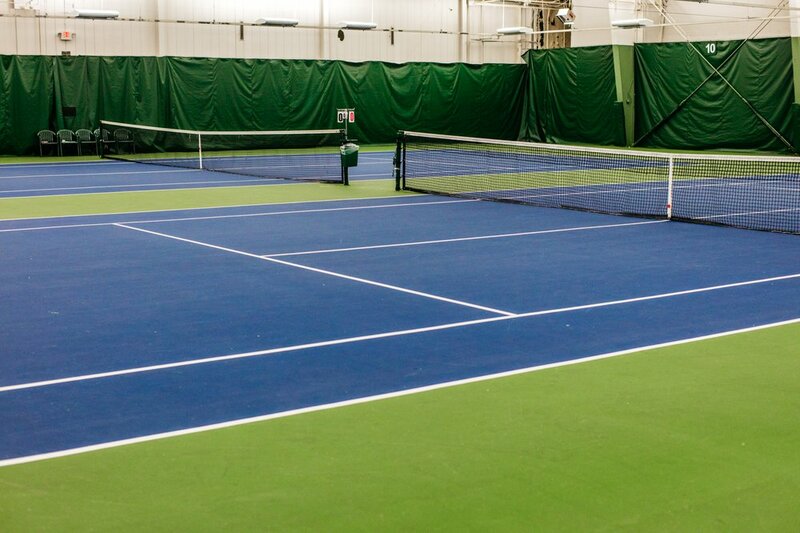 Franklin Athletic Club has 13 indoor air-conditioned courts, which are all top-notch. Court reservations are as little as $25 and I can’t emphasize enough how great these courts are. Franklin also has racquetball and squash courts, along with various fitness studios that hold classes for Pilates, yoga, cardio, and dance among many others. While I wish I could’ve stuck around for a class, I was way too tired after my workout and decided to leave after lounging around in the sauna for a bit. Weight room floor. Courtesy of Pulse Fitness, http://www.pulsefitnesstraining.com. I thoroughly enjoyed my visit to Pulse Fitness in Pleasant Ridge. It’s not far from I-696 so getting to this gym is a breeze. I felt it truly embodies the spirit of Detroit combining a mix of modern and industrial looks to make this club stand out. Pulse is a lot more focused on fitness than on plush amenities. With that being said, they provide some of the best equipment available today and I was able to get one of the best workouts I’ve had in a long time. The staff was accommodating and genuinely cared about making me feel like a member. They have a vast open gym area with a good mix of machines and free weights. What surprised me most were the squat racks and platforms that allowed me to do a more functional style workout. They also have a spin room, kickboxing room, and offer boot camps that looked intense. I could tell their trainers took fitness seriously because they all looked like they were in incredible shape. I went to LA Fitness during the week around 4:30 pm to try to beat the evening rush. By 5:30, the gym started to fill up with everyone coming in after work. The beauty of it was that the weight and cardio areas were so spacious; I never felt cramped or had to wait to continue my workout. While I didn’t play, I did notice a few pickup basketball games were going on their full-size basketball courts. Had I brought my swimsuit, I would’ve swum a few laps in their indoor pool. It wasn’t crowded and was a good size to get a solid swim workout in. I felt like this club was an excellent value for what members pay. There were more people than other local clubs I’ve been too, but with a name like LA Fitness, you know you’re going to get top-notch service and well cared for equipment. Fitness 19 floor. Courtesy of Fitness 19 – Royal Oak, https://www.facebook.com/Fitness19RoyalOakMI/. Fitness 19 is a basic gym with the necessary equipment to get a solid workout without feeling intimidated. I went in the evening and while it was a bit crowded, was still able to get a great workout. I started on the elliptical and was lucky to get one as there aren’t many in there. Then I did a quick lift in the free-weight section. I’m not surprised it was a bit crowded because at such a low price it’s such an incredible value. It was relatively small but more than enough for those just looking for a place to lift. As with most bargain style gyms, Fitness 19 is perfect for someone looking to maintain a healthy lifestyle and be active on a budget. I actually fit into this category so it is a perfect facility for someone like me. 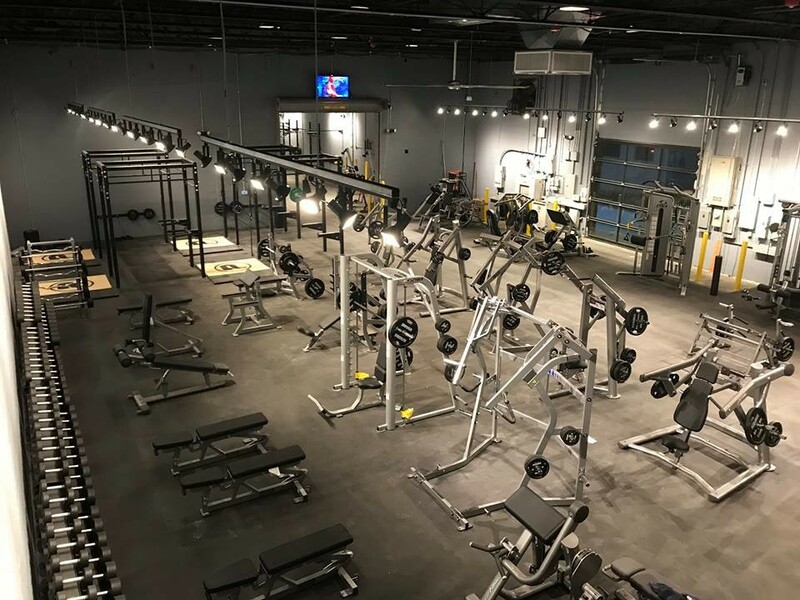 Located in the heart of Downtown Detroit, Detroit XLR8 Athletix is a huge CrossFit gym with tons of new Rogue equipment and plenty of space to do all of your lifts. While most CrossFit gyms I’ve used have been pretty basic in terms of amenities, this one has been modified and updated to include showers and a locker room area. Not being from the area myself, everyone was extremely welcoming and helpful in getting me started. When it came down to doing the actual workout, the atmosphere was full of encouragement and the guys I was paired with definitely pushed me to crush the WOD. Plain and simple, this is a great choice for anyone looking to join a for anyone looking for a CrossFit box or anyone visiting who wants to stay in their routine. Hey! I’m Rob, the founder of Localfit. After spending the majority of my twenties on the road playing minor league baseball for the Oakland A’s and Washington National’s organization, I went back to college at UNC (go Heels) and took a huge interest in entrepreneurship. I saw a need among travelers to have quality places to exercise when away from home. The idea for Localfit was born, and we have been chasing it hard ever since!